Clutch Head One Way screws only operate in a clockwise motion, ideal for permanent fixtures. 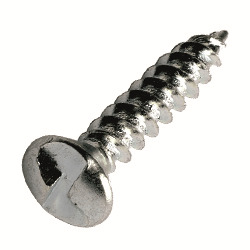 Coarse thread woodscrew designed for screwing into timber. Stocked in Zinc Plated steel.